For the language of original Latin works created since the beginning of the 20th century, see contemporary Latin. New Latin (also called neo-Latin or modern Latin) was a revival in the use of Latin in original, scholarly, and scientific works between c. 1375 and c. 1900. Modern scholarly and technical nomenclature, such as in zoological and botanical taxonomy and international scientific vocabulary, draws extensively from New Latin vocabulary. In such use, New Latin is often viewed as still existing and subject to new word formation. As a language for full expression in prose or poetry, however, it is often distinguished from Contemporary Latin as a predecessor. Neo-Latin also describes the use of the Latin language for any purpose, scientific or literary, during and after the Renaissance. 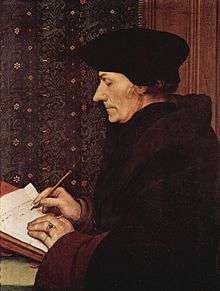 The beginning of the period is imprecise; however, the spread of secular education, the acceptance of humanistic literary norms, and the wide availability of Latin texts following the invention of printing, mark the transition to a new era of scholarship at the end of the 15th century. The end of the New Latin period is likewise indeterminate, but Latin as a regular vehicle of communicating ideas became rare after the first few decades of the 19th century, and by 1900 it survived primarily in international scientific vocabulary and taxonomy. The term "New Latin" came into widespread use towards the end of the 1890s among linguists and scientists. Though Latin and New Latin are considered extinct (having no native speakers), large parts of their vocabulary have seeped into English and several Germanic languages. In the case of English, about 60% of said language's lexicon can trace its origin to Latin and thus many English speakers can recognize New Latin terms with relative ease as cognates are quite common in said language. Ecclesiastical Latin, the form of New Latin used in the Roman Catholic Church, remained in use throughout the period and after. Until the Second Vatican Council of 1962-65 all priests were expected to have competency in it, and it was studied in Catholic schools. It is today still the official language of the Church, and all Catholic priests of the Latin liturgical rites are required by canon law to have competency in the language. Use of Latin in the Mass, largely abandoned through the later 20th century, has recently seen a resurgence, due in large part to Pope Benedict XVI's motu proprio Summorum Pontificum and its use by traditional Catholic priests and their organizations. The use of a sibilant fricative or affricate for the letter t when not in the onset of the first syllable and preceding unstressed i followed by a vowel. 1741. Nicolai Klimii Iter Subterraneum, a satire by Ludvig Holberg. 1628. Exercitatio Anatomica de Motu Cordis et Sanguinis in Animalibus by William Harvey. 1687. 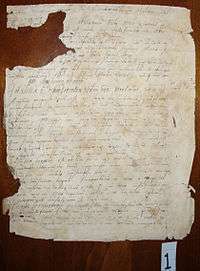 Philosophiæ Naturalis Principia Mathematica by Isaac Newton. 1703. Hortus Malabaricus by Hendrik van Rheede. 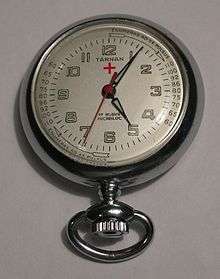 1735. 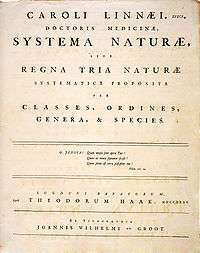 Systema Naturae by Carl Linnaeus. 1604–1608. Historia sui temporis by Jacobus Augustus Thuanus. ↑ "Neo-Latin". The American College Dictionary. Random House. 1966. ↑ "Before I conclude the reign of George the First, one remarkable fact must not be omitted: As the king could not readily speak English, nor Sir Robert Walpole French, the minister was obliged to deliver his sentiments in Latin; and as neither could converse in that language with readiness and propriety, Walpole was frequently heard to say, that during the reign of the first George, he governed the kingdom by means of bad latin." Coxe, William (1800). Memoirs of the Life and Administration of Sir Robert Walpole, Earl of Orford. London: Cadell and Davies. p. 465. Retrieved June 2, 2010. ↑ This requirement is found under canon 249 of the 1983 Code of Canon Law. See "1983 Code of Canon Law". Libreria Editrice Vaticana. 1983. Retrieved 22 March 2011. ↑ Fisher, Michael Montgomery (1879). The Three Pronunciations of Latin. Boston: New England Publishing Company. pp. 10–11.